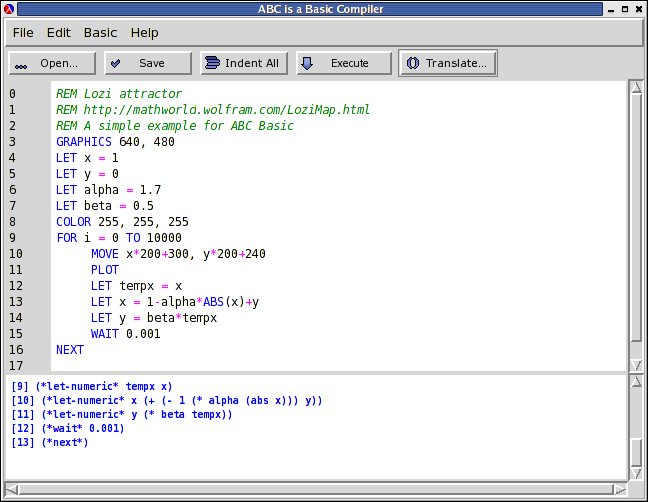 ABC is an interpreter for the BASIC language written in Scheme that I developed during my third year at the university. 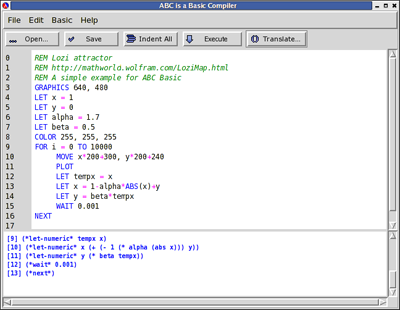 It provides many features, including an Integrated Development Environment (IDE) and a small graphics API. For more information, you can visit the website I made for this project.